Spring has sprung and so have many pet owners’ desire to travel. There are options about what to do with pets while you are on vacation, but most pets are most comfortable staying in their own homes. Hiring a professional pet sitter in Kendall to come to your home to visit and care for your pets will give you peace of mind while you are away and your pets will have peace in their own environment. What exactly does a pet sitter do? How can I trust someone in my home to care for them while I am gone? A professional pet sitter will have licensing, bonding, and insurance. 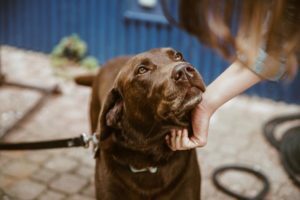 Many professional pet care companies have employees who are trained and educated on dog behavior, CPR, and the company’s own employee manual and training program. A professional pet care provider is invested in their business, and it shows. At Dances With Dogs, we understand the apprehension pet owners face when leaving their dog, cat, or other pet while they go on vacation. That’s why when you hire us, you are hiring a company that cares, not just a fly-by-night pet sitter. Pet health and safety is so important. We have studied with the Red Cross by taking their Pet First Aid course, and by taking the Red Cross certification. If something should happen, professionals would know how to best help your pet, and when to call for help. Also, professional pet sitters make sure pets have quality human time, whether it be cuddling, playing fetch in the yard, or a long walk. Your pets will stick to their normal routine while you are away. We will also bring in your mail and your newspapers, water your houseplants, and turn your porch lights (and other lights in the home) on for security purposes. We give the home a “lived-in” look. Having a go-to pet care company while you travel this Spring (and throughout the year) will be such a relief to you and your pets. You will be able to travel worry-free and your pets will be so happy at home! Having a professional caregiver for your pets and home is an added bonus to your vacation, so please book our services and we will schedule a consultation to meet you and your pets. You can contact us HERE to register for services!